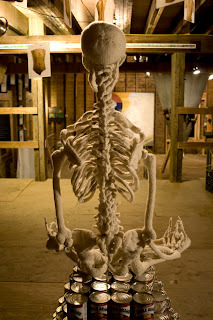 This piece of artwork was my initial inspriration showing the body in a fun and quirky way that initiated the sense of touch. 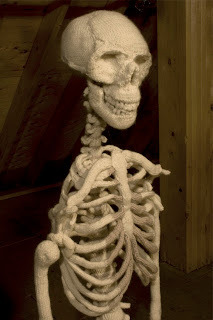 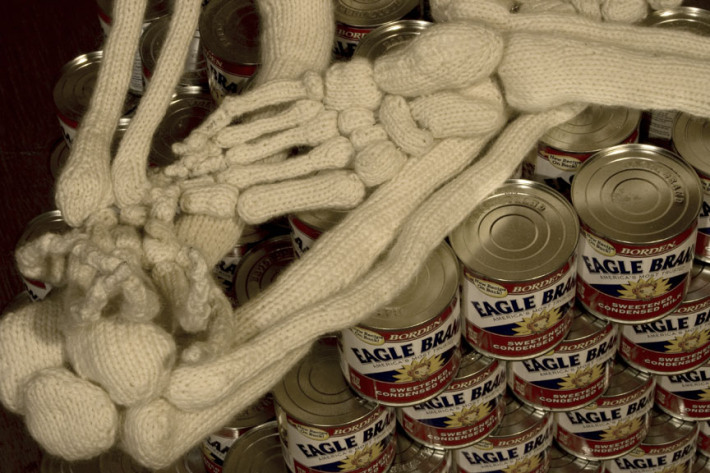 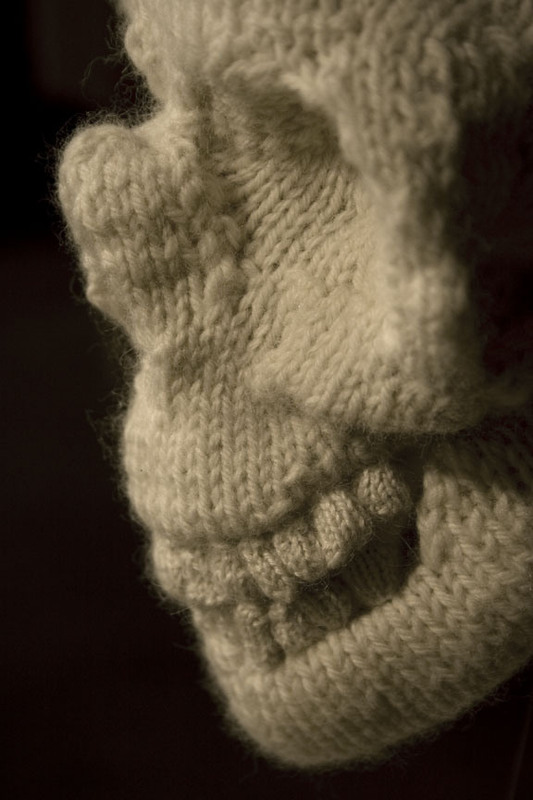 by knitting the skeleton it is both informative yet playful in how its inclining you to touch which is very unlike the usual science exhibitions. 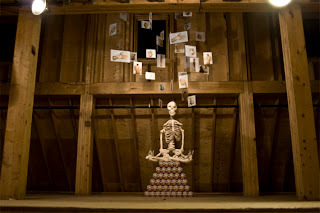 this inspired me to create an exhibition in which people could both learn and play to stimulate all senses.